With Shoeboxed there has never been one “best” way to use our service to stay organized. And after processing over a billion dollars of expense data since 2007, we say that from years of firsthand experience! 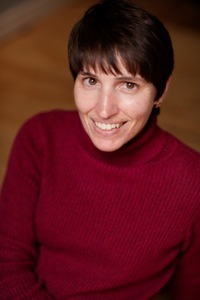 Today’s post features Jody Seibert, a small business accountant! Shoeboxed: Hi Jody! First, can you tell us a little bit about yourself? 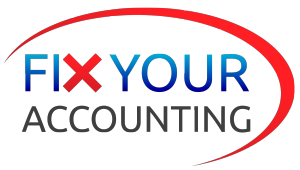 Jody Seibert: I support small businesses by helping them choose the right accounting software for their business, setting it up, providing training, as well as ongoing accounting services. I have over 14 years of experience in my field, including working with companies of all sizes and in a wide range of industries. SBX: How did you make the jump to owning and operating your own small business? JS: Running my own business was definitely not on the agenda! I accidentally started my business in early 2010 after losing my full time job two weeks before Christmas. Since that happened in the midst of the recession combined with the fact that I live in a small town, there were no jobs to apply for. So I started responding to ads on Craigslist posted by small businesses needing occasional help with their bookkeeping. I also stumbled on an opportunity to serve as a mentor at Northern Arizona Center for Entrepreneurship and Technology (www.nacet.org) that brought in clients as well. Work also came along in the way of part-time jobs, mostly temporary. And suddenly I had a business – Fix Your Accounting. SBX: So now that you own your own small business, what is your favorite part of your job? JS: Meeting small business owners and seeing the amazing things they are doing! SBX: We love that too! So one thing all small business owners have in common is bookkeeping. When you were just starting out, how did you handle all of the paperwork? JS: My business was paperless from the start, and I did my own scanning. As my business grew, I fell behind and realized I needed another solution. Shoeboxed is perfect for me. SBX: That’s music to our ears! So how does Shoeboxed help you save time and stay organized? JS: Shoeboxed definitely saves me time! I use the integration between Shoeboxed and Evernote to gather all my documents in one place. I receive some of my receipts via email and file everything in Evernote. My Shoeboxed documents go to a special notebook in Evernote. I can literally do my filing anywhere whenever I have a few minutes. SBX: That’s awesome! Evernote is a great tool for keeping everything organized. Are there any other features of Shoeboxed that you especially love? JS: Absolutely! Most of what I have scanned is receipts, business cards and other documents. Having the business cards scanned that I collect at networking events, etc makes it much easier to do referrals. All I have to do is email the business card instead of carrying around a huge stack of cards. SBX: We’re thrilled that we can simplify your life and help your business grow. Now are there any other organization tips you have for other small business owners out there? JS: Don’t wait. You won’t have more time later. Get workflow systems (accounting too!) in place and get organized now. Not being organized not only adds stress but can result in lost sales for your business. SBX: Thanks for those wise words, Jody! We’re so glad you’re a satisfied, organized Shoeboxed ambassador.